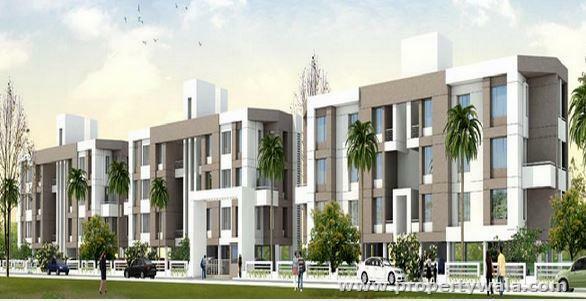 3 BHK Apartment for sale in Bavdhan, Pune (Kolte Patil Stargaze). Stargaze by Kolte Patil, located in Bavdhan, Pune, offers 2 BHK and 3 BHK apartments, This residential project is equipped with amenities like gymnasium, swimming pool, children’s play area, club house, multipurpose party hall and lawn, intercom, 24x7 security, power backup, landscaped gardens, sports facility, two level car parking, meditation plaza, kids’ pool, multipurpose court.Situated to the west of Pune, Bavdhan is one of the fastest growing residential suburbs of the city. It lies just off the Mumbai-Bangalore National Highway. The Hinjewadi IT Park is just 20 minute drive away. There are a number of known schools and hospitals in the locality. Real estate companies like Nyati Group, Marvel Realtors, RK Life Spaces. have their projects here. Bavdhan is a beautiful upcoming locality on the western border of Pune city adjacent to the Mumbai-Bangalore highway. It has developed rapidly in the last five years. It is one of the cleanest, greenest and safest areas in Pune. It is also one of the least polluted and most peaceful, tranquil localities of Pune. The population density is relatively less and most of the residential societies have been constructed in the last 5-10 years. So it boasts of relatively younger and newer generation population as compared to other areas. Bavdhan is an excellent place in West Pune to reside. Nice climate all the year, Good connectivity to Hinjewadi IT park, Kothrud, Pashan. All basic needs are very nearby like - Petrol Pump, Hospitals, Hotels, Grocery malls etc. Bavdhan has emerged one of the Hot Destinations in West of Pune. Whether you buy for investment or end use. This is a perfect location due to its proximity to important locations like Hinjewadi ( 10 Mins ), Kothrud ( 10 Mins),Baner ( 8 Min),Pune Station ( 20 Mins),Pashan ( 5 Mins),Chandni Chowk(5 Mins). This location is gaining lot of popularity as this becomes a alternative location for Baner. A silent and quiet place to live life in peace. 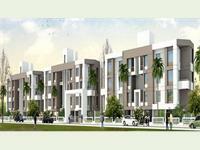 Bavdhan is an emerging hot destination ideal for investment and for the end users to live in. Its clean environment ,scenic nature ,wide roads, with the necessary infrastructure support and active municipal representatives. Most of the developers have sold out their projects and client (investors and end users ) are enjoying the appreciation and the excellent rentals as well by now. New projects are being launched by reputed developers with excellent proven track records in the realty market. Few potential and professional property consultants and advisors are existing in the vicinity to assist the prospective clients. The appreciation growth rate per year is almost 25% per year for residential properties and the 30% minimum for commercial properties. Rentals have been observed to rise by 10%-15% depending on various factors of the building and the infrastructure , amenities ,etc. The growing industry in PIRANGUTE ,HINJEWADI ,CHAKAN ,TALEGAON are looking upto the west of Pune for their professional staff as a destination to reside. Hence Corporate are keen to look up to BAVDHAN as a cool and scenic place to reside in. The periphery of BAVDHAN is surrounded by Hills and dense forest reserved by NDA and Defence Research Development Organisation(DRDO) respectively , which ensure the temperature to be MINUS 2 DEGREE through out the year. Bavdhan is nice and silent place to live and enjoy the life. Nice to have home near Chandnichowk, the most happening place. Bavdhan is a nice and quiet place to live in. It is surrounded by the hills and is completely away from the noise and pollution of the city. It is close to city and just 8 kms away from Hinjewadi.